We wouldn’t say that our online middle school is like the forgotten child of the family…but ‘middle’ is in the name. It’s understandable. 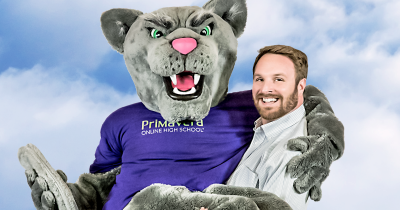 When the name Primavera Online High School is so often seen on TV, ads or the news, many may not remember that includes grades 6–12. Others may forget our online middle school, but we certainly don’t. Besides, as we all know, the middle child isn’t really neglected. 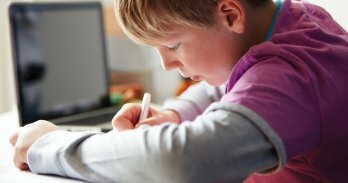 If you’re looking into online school for your child, here are a few things you should know. We’ll go all the way back to the beginning. 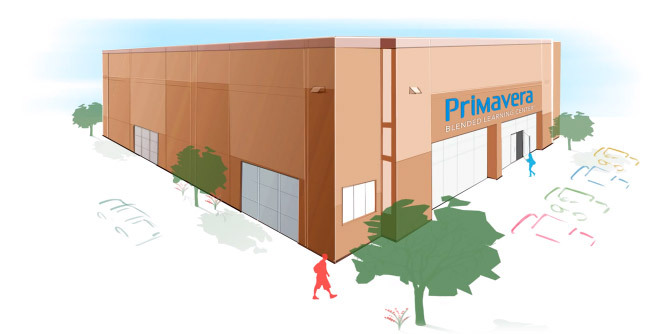 It’s September 2001, Primavera just opened a blended learning center for high school students. Only a handful of students are enrolled, but they are dedicated. Fast forward about six years. Primavera’s rapidly grown, probably thanks to our unique alternative to the traditional approach. There have been about 600 graduates. Fast forward a little more. We’ve always believed every student deserves a great education and realized we can expand our opportunity a little more. And so, in the fall of 2011, Primavera Online Middle School was born. Jump another year later, demand for the online middle school has grown so much that we added 6th grade courses. Now we’re back to the present. Our school serves hundreds of 6–8th grade middle school students, most of which continue on to Primavera Online High School. Tuition-free courses. No fees, no catch, just free. 100% online to study in the comfort of home or anywhere with internet. Two classes every six weeks for reduced stress and greater focus. Accredited by AdvancED to receive a real, quality education. Curriculum that’s filled with videos, illustrations, graphic novels and more to enjoy learning. Highly qualified teachers and certified counselors to provide individualized support. A traditional school consists of going to a building and attending about six classes throughout the day where a teacher presents a topic and assigns homework. Online school is a little different. Students log in and learn lessons by reading, watching videos, playing games, etc. In other words, they start with the homework. Teachers gather data from workbooks and quizzes to identify areas students are struggling. Then, online sessions are held. Teachers and students log in real-time to discuss difficulty points and expound on lessons wherever needed. These sessions are recorded, so a student can access them later. If a student has a question, they do not have to wait for the online sessions. They can email, instant message or call their teachers. For additional personalized attention, students can schedule 1-1 online tutoring sessions. Workbooks, quizzes, exams and other material are all completed online. To look into a day in the life of an online student, check out this post. All students need socialization. It’s even more important for pre-teens that are still learning who they are and what makes them unique. But attending school online doesn’t mean falling off the face of the ‘social’ earth. Actually, it’s quite the opposite if you think on how students communicate with friends today. They are on phones, tablets, computers, connecting with friends online. Why not let them continue to connect in a way they are most familiar that’s also much safer than, say, SnapChat? Primavera Online Middle School students have access to an online student community. This is only available to other Primavera students, and conversations are staff monitored to allow our younger teens the opportunity to safely chat with classmates and easily make friends. Online communication isn’t the sole form of socialization for our students; it’s merely another tool we utilize. For face-to-face socialization, there are student clubs and field trips. Student clubs are a mix of online and face-to-face interaction. Our students come from all over Arizona. Our office, on the other hand, is in the East Valley. So, to give our students the opportunity to participate in clubs, meetings are held online twice monthly. Students log in to a live session with a club advisor (a Primavera faculty member) and students. The club advisor moderates a fun discussion about whatever is relevant to the club, whether that is traveling or photography. Each club also holds monthly in-person events. For example, the Manga & Anime club attends the Comicfest together each year. Or, the Art Club sometimes heads to the First Friday art walk in Downtown Phoenix. You can learn more about clubs here. In addition to club events, we often hold field trips exclusive for our middle school students. We take students to places like the Renaissance Festival or volunteering at St. Vincent de Paul. These events are held quarterly and are completely optional for those who want to meet classmates and have some fun. It’s extremely difficult to qualify for Primavera (that’s sarcasm). 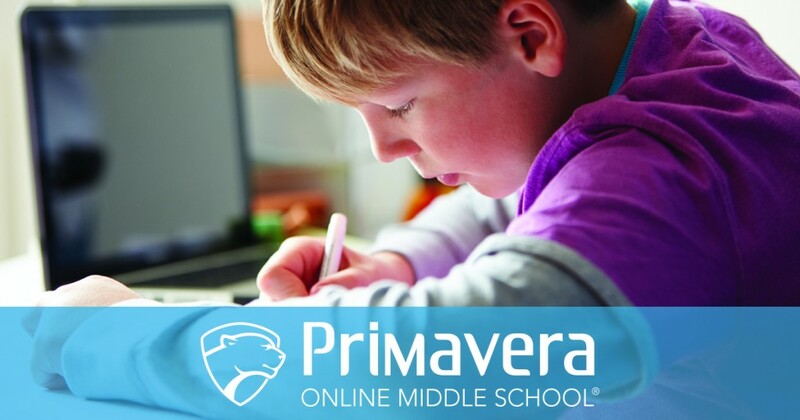 Here are the qualifications to attend Primavera Online Middle School. You’ll need to provide some proof of Arizona residency and age with a birth certificate and utility bills. There will be a few other documents needed, like transcripts, to enroll. But an enrollment advisor will work with you to ensure the process is as painless as it can be. Classes start every two weeks, and enrolling is simple. 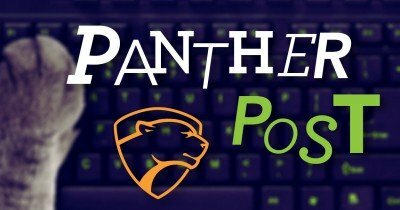 If you want to receive more information, fill out the form below.